Chesterton Duneland Chamber of Commerce aggressively promotes issues and activities that meet their members needs. They are also dedicated to enhancing the business climate and economic well being of Beverly Shores, Burns Harbor, Chesterton, Dune Acres and Porter. Gary Chamber of Commerce is a voluntary organization representing all segments of Gary's business community. Businesses, individuals and organizations within the chamber direct their efforts toward improving the economic, civic and cultural well being of the area. 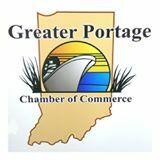 The Greater Portage Chamber of Commerce is dedicated to enhancing the areas business community. They provide their members with networking, advertising, marketing and public relation opportunities. The Institute of Inspection Cleaning & Restoration (IICRC) establishes and advances globally recognized standards and certifications for the inspection, cleaning, restoration and installation industries.